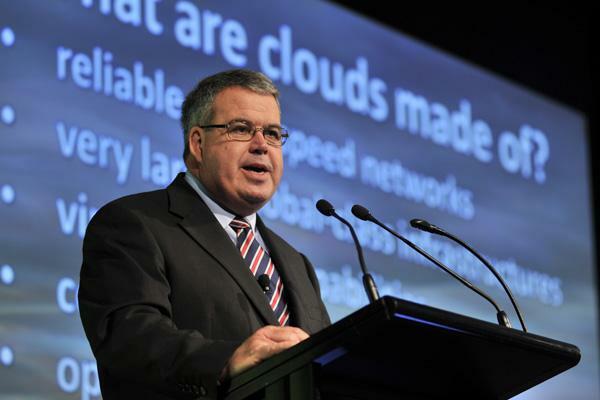 Australian Government chief technology officer, John Sheridan. The Federal Government has inked a four-year $24 million deal with Acquia to deploy and run its new govCMS platform. An officially sanctioned distribution built on Drupal, govCMS will help government agencies across Australia decrease costs and increase their agility and ability to better engage citizens with government services. Australian Government chief technology officer, John Sheridan, said the first site (Australia.gov.au, the “home page” for the Australian Government) to use the govCMS platform had just gone live on the Acquia Cloud. He said the open source platform, hosted by Amazon Web Services, would halve the government's previous CMS expenditure. "We are already realising savings," he said. "One of the challenges was a need to get a user experience focus." He said the government wanted something which aligned with the government's open source policy. "We wanted and extendable solution, we wanted something that had broad community support," he said. "We wanted something with third party support and we wanted something with a modular design." "The challenge is how do we go about moving from our proprietary past to this new arrangement." The Australian Sports Anti-Doping Authority will be among the first external agencies to adopt govCMS; the full migration of the authority’s site to govCMS is planned for early 2015. Acquia beat nine other bidders to win the contract through an Australian Government request for proposal process. The Department of Finance is working with Acquia to provide govCMS, an open cloud platform for the development and continuous delivery of its Drupal-based govCMS service. Currently Acquia is working with the govCMS team to create common themes and templates that may be used by a variety of government departments, Agencies, official blogs, and policy microsites. Together they’re also developing a range of procurement options and pricing plans to provide greater value and flexibility to agencies that adopt govCMS. The Government will also offer free Get Ready for govCMS training courses on Friday 14 November in Canberra, Sydney, and Melbourne. The courses are part of Drupal Global Training Days, an initiative of the Drupal Association to introduce new and beginning users to Drupal. According a to an Acqia company statement, the govCMS announcement reflected the government's commitments regarding the use of shared, cloud-based services. "Agencies using govCMS will benefit from a standardised procurement model and achieve compliance for Web Content Accessibility Guidelines (WCAG)," the statement said. "govCMS incorporates and extends the aGov Drupal distribution, which was developed specifically for Australian government organisations." Acquia will help the government meet these requirements through its Acquia Platform, which brings together key capabilities for engagement and digital experience management. The platform features Acquia’s Digital Experience Cloud, which helps engineers create and manage applications faster. The Digital Experience Cloud simplifies the management of a complex portfolio of sites for engineers and architects, helping them build, govern, and scale the continuous delivery of many experiences across an organisation while administering them from a single administrative dashboard. It also allows government agencies to tap into the global Drupal community, connecting new applications, modules and technologies to their sites as they emerge. Acquia director for Asia Pacific, Chris Harrop, said Acquia’s Digital Experience Cloud was enabling the Australian government to go to market faster with a solution that delivered on the promise of eGovernment to agencies all across the Commonwealth.